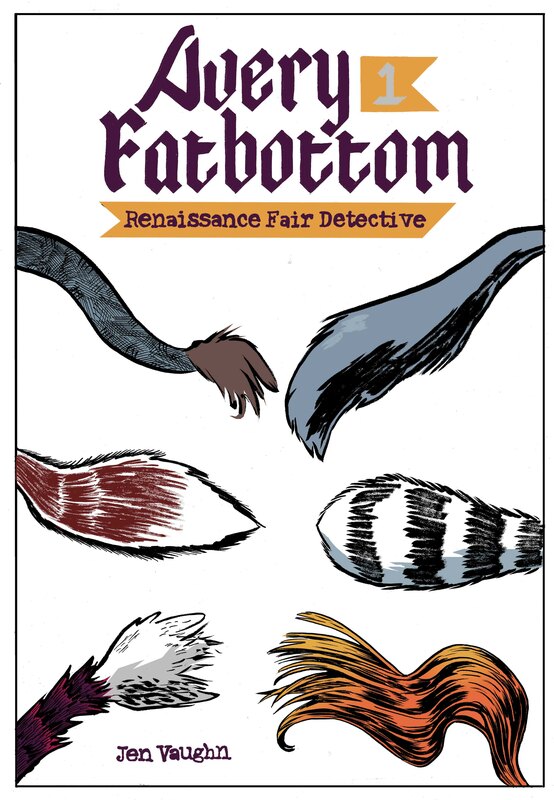 How you feel about Avery Fatbottom largely depends on your take on quirky indie books with kooky female characters who take boys on dates to Renaissance Fairs with their equally kooky best friends. If that sounds to you like a charming book full of quirky whimsy and cute oddness, then this is the book for you. If not, then whatever I say here will fall on deaf ears! Fortunately we’re much more in the first camp than the second and so for us Avery Fatbottom is a really endearing story, packed full of charm and wit from writer/artist Jen Vaughan. The loose artwork gives it a real ‘indie’ sensibility and it has a really strong use of lettering that is reminiscent of Posy Symonds. It’s overall oddness makes it feel nicely unique, although it’s maybe a little over indulgent and kooky at times, but at the same time, that is part of the charm of it. tain Ultimate is another golden-age superhero parody book in the style of Edison Rex. Unfortunately it lacks any of the charm and originality of Chris Roberson and Dennis Culver”s book and feels like a real missed step. 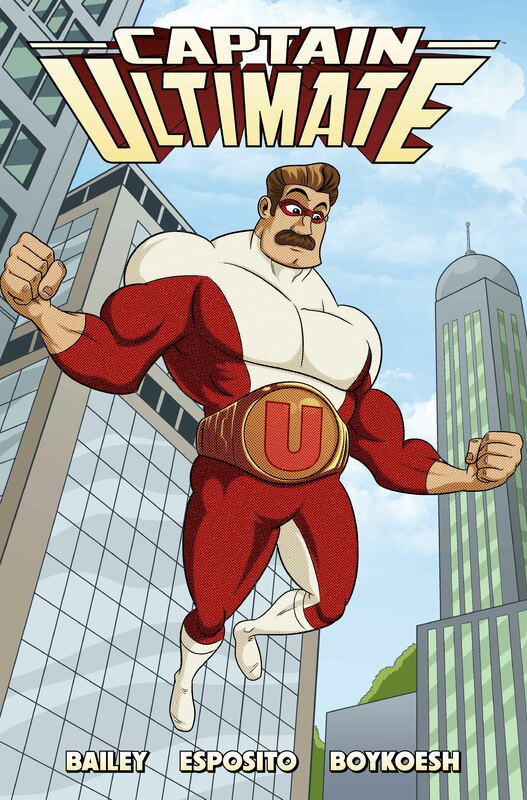 Rescued from the public domain by writer from IGN.com Captain Ultimate is your typical All-American Hero superhero (although his main unique feature seems to be that he has a moustache) who takes an extended leave of absence from the world only to return just in the nick of time to thwart an alien invasion. While most of the world has forgotten about him, one young boy has kept the faith and helps Cap defeat the invading border! It seems harsh to be so critical of, what is intended to be an all-ages old fashioned superhero book – not every superhero book has to be gritty and grim like The Victories or Powers – however even for kids it lacks any kind of spark or originality. It claims in the Editorial page at the back that it is going to take an old fashioned hero from the public domain and and plant him in to the modern world of gritty superheroes, and this may come true in time. After all we felt similar about Edison Rex when it launched. However on first impressions this first issue feels like a very lacklustre and unoriginal book with a hokey cheesy tone and very corny artwork. We hope it proves us wrong like Edison Rex did. Unlike Captain Ultimate’s heavy footed and uninspiring introduction, Detectobot is the absolute perfect first issue of a new title. If you don’t want to get your hands on a full issue of Detectobot immediately after reading this then you as empty inside as our metallic hero. Part of the reason for it’s success is that it’s a short and punchy prologue rather than a full first issue, but what a debut! 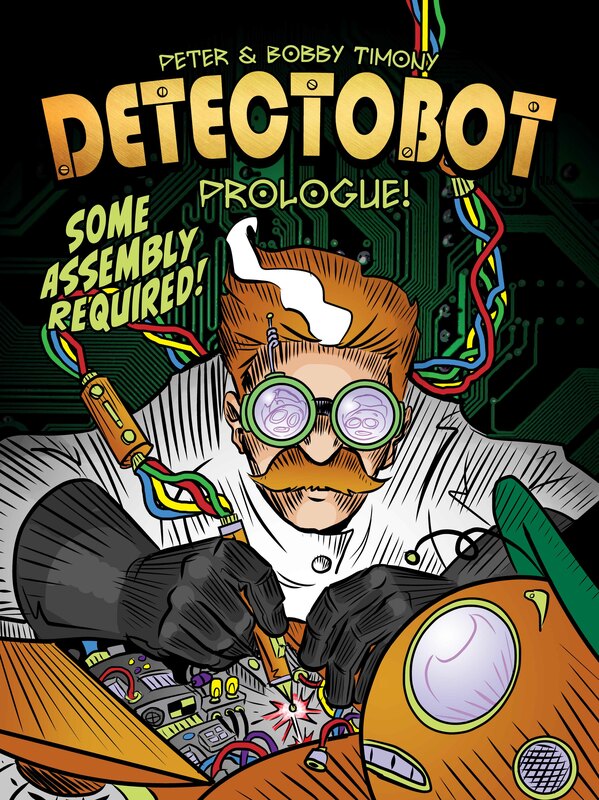 Detectobot’s premise is brilliantly simple and original – he is created for the sole purpose of solving the murder of his creator Professor Schwartzenhoffer before being put back to sleep. Like a low-fi robotic version of mind-bending movie classic Memento, our story takes a dramatic turn of events as Detectobot wakes up to find the Professor dead, surrounded by small drone helicopters with a screaming woman standing over him. When it comes to impact this is second to none and the Timony’s smart use of a simple premise and a great cliffhanger give you just enough to tantalize you into getting the first full issue. The artwork is a brilliant mix of 1950s pulp with a bit of European cartoonists like Herge thrown in for good measure, and should appeal to kids and grown ups alike. 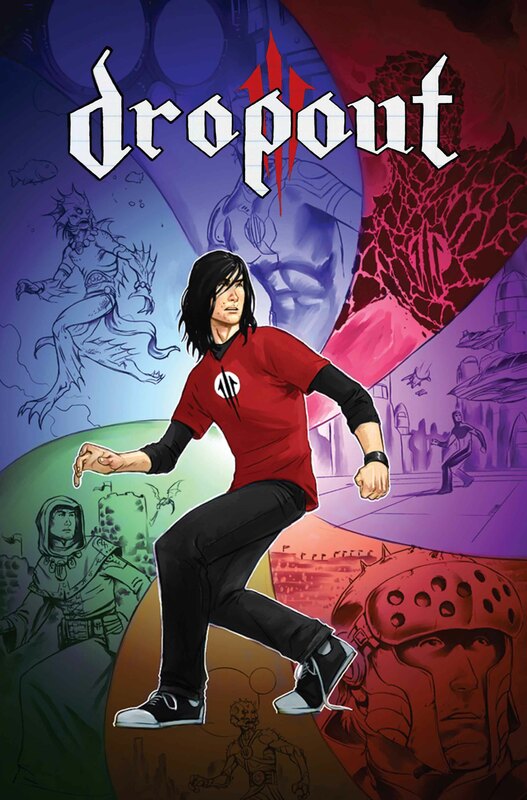 As a free sample there is no reason not to get this book now, and you will not be disappointed as this is the next great book from MonkeyBrain Comics! Wyatt Gunderson is the titular dropout who is expelled from school by a J Jonah Jameson style principal and sent to a special school for misfit kids. Gunderson is more interested in drawing comics than learning and when we are introduced to his troubled home life you can see why, as he he lives with his white trash sister Kelli and her scumbag boyfriend Randy. However the Crossroads Charter School aka Blacktop is more than it first seems, from it’s naked bus driver to it’s unconventional attitude towards discipline. As an idea it works well and has a slight air of Grant Morrison surreallness and a bit of Mark Millar’s subversive tone as well. There’s enough there to leave you intrigued about what will happen next, however it feels like an all to familiar path and there is little here that stands out beyond the average. Unlike the other titles released this week, Heartbreakers is actually a re-release of an old Dark Horse title. Originally part of Dark Horse Presents, alongside stories like Sin City, Heartbreakers was released in 1989 to critical acclaim and now has a new digital home for a new generation to discover. The story centres around a dystopian world where cloning is causing civil unrest and Doctor Therese Sorensen and her band of bodyguard clones (the titular Heartbreakers) must escape from a shadowy figure who is attempting to put the blame on her. It has a real 2000ad feel to it with Guinan’s tightly drawn, black and white pages eerily reminiscent of classic Mike McMahon or Dave Gibbons work. The whole thing has very 1980s feel to it, but not in a bad way, as the story is infused with the politics of the time, from the fear of big business and new technology to the collapse of the old world order. Far from feeling dated, if anything this is as relevant now as it has ever been. This first issue is tightly plotted by Bennett, if a tad jargon and exposition heavy, and is a bit tricky to follow as a result. However with it’s main cast of strong, no-nonsense female leads Heartbreakers feels refreshing and new, despite being 20+ years old and is a must for anyone looking for some smart, dystopian sci-fi. Overall, this is a rather disappointing collection of new titles to start off MonkeyBrain’s second year. After the exciting original feel of the first generation, these seem lacklustre and unoriginal by comparison, with the only exception being the exhilarating debut of Detectobot!